A group of students from the College of Business have participated in the first STEAM (Science, Technology, Engineering, Arts and Mathematics) which was held in Riyadh from Friday the 20th of October to Saturday the 21st of October. The STEAM Innovation Challenges are unique, intensive, experiential ideation events for Saudi university students. The program was created, designed and delivered by KAUST Entrepreneurship Center. 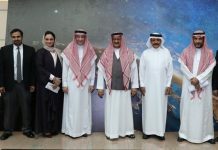 The STEAM Innovation Challenge offers an opportunity to engage and showcase Saudi students-led innovation. Over 500 students from Saudi universities have participated in STEAM Innovation. 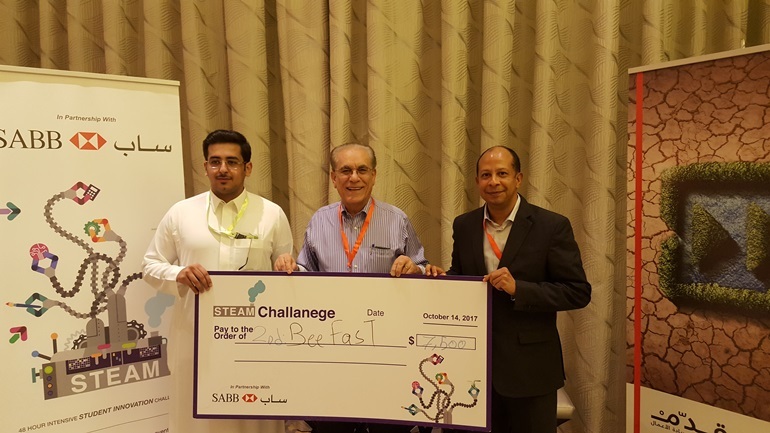 Students learned a lot over the weekend and some of them were winners of the SAR 22,500 in prize money given by the sponsor SABB. 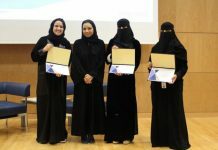 A joint team including some of CoB students won the second and third prizes (SAR 7250 and SAR 5000 respectively). The second team was headed by Mr. Omar Alhudaithi, and the third team was headed by Mr. Turki Alghamdi. Students were accompanied by Dr. Mario Ferrer on Friday and Saturday, and Dr. Bajis Dodin on Saturday.